Kazi Mansur-ul-huq is a self made man who led a team of creative professionals with his motivation, analytical power, inter-personal skill and enthusiastic drive. In his personal life he is pious, caring to his family and surroundings, polite and humane in his attitude. His integrity and dedication to work is the trade mark of his professional achievements. He maintains an excellent personal and working relationship with all. To help others who are in need is his one of his noble virtues. He is in real terms “A friend in need a friend indeed”. He is a freelance journalist and columnists. He was born in a respectable and pious Muslim family of Comilla in 1963. He is the youngest of his six brothers and sisters. From his boyhood he was taught honesty, religious value and humanity from the family. His father was a civil servant by virtue of the job nature he traveled to different parts of the country with his father that helped broaden his vision and to be a man with quality. He graduated from the University of Chittagong. After completion of academic career, he joined Minhaz Group in 1986. From day one of his professional life he proved his worth and was commended for his professional skill. His entrepreneurial skill has brought success for his business. He is also looking for new ventures and creative arena for expanding his business. He encourages people to start something new and helps them to purse. Diploma in Unani Medicine and Surgery. Socio-Cultural Activities: He is Associated With many Cultural and social organizations. 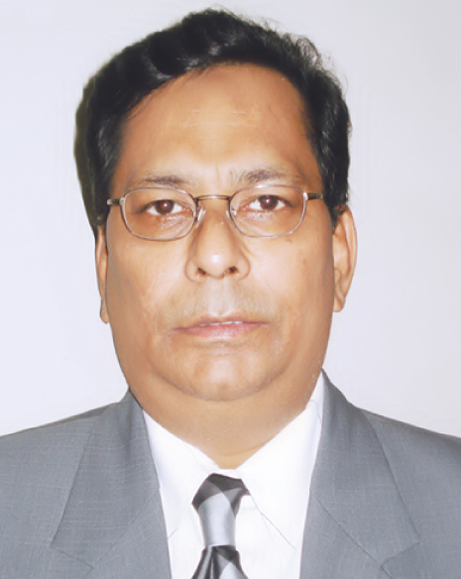 Kazi Mansur-ul-huq is Chairman of DEBTEC. It is an organization that working in the field of promotion of bio-technology and environmental conservation of plants and herbal medicine. Ex-President of Lions Club of Dhaka Down Town. Life member Dhanmondi Recreation Club Dhaka. Member Executive Committee Comilla Diabetic Hospital (Trusty Hospital). Permanent Member Kolabagn Cria Chakro Club. Permanent Member Comilla Club Ltd.
Director Comilla Chamber of Commerce and Industry. Life member of Bangladesh Red Crescent Society and Family Planning Association of Bangladesh. Member Center for Human Welfare Bangladesh. Advisor of Mahakal Natya Sampradaya. Chairman Gobindopur Primary School Committee. Artha Kantha Business Award 2003 for Best Public Relation professional of the year. Best Public Relation Personality award 2003-2004 by Jatiya samannita unnayan foundation. The Industry Business Award 2004 for Best Public Relation Personality. Comillar Kagoj Award for Social Service 2005 for Huq Foundation. Dhara gold medal 2006 for social service for Huq Foundation. Shining personality award 2005 from Nari Kontho Foundation for Huq Foundation. Dhara gold medal 2002 for best Organizer and Social Service. Sadhinata sangshad award 2005 for Social Service.